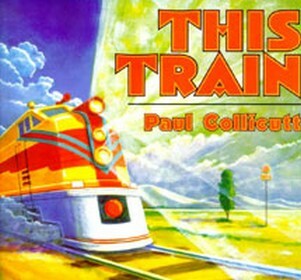 It seems like there are a million train books out there, but which ones are the most worthwhile? 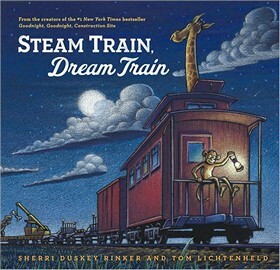 The following is a list of award-winning books (some classic, some new) that feature the captivating power of the mighty locomotive. 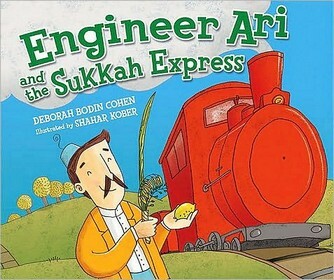 What are your favorite train books? Let us know in the comments below! 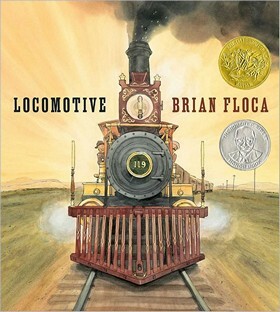 Starred Review* Floca follows up the acclaimed Moonshot: The Flight of Apollo 11 (2009) with this ebullient, breathtaking look at a family’s 1869 journey from Omaha to Sacramento via the newly completed Transcontinental Railroad. The unnamed family is a launching point for Floca’s irrepressible exploration into, well, everything about early rail travel, from crew responsibilities and machinery specifics to the sensory thrills of a bridge rumbling beneath and the wind blasting into your face. 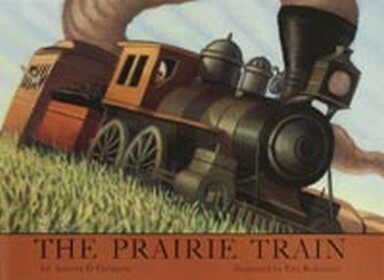 The substantial text is delivered in nonrhyming stanzas as enlightening as they are poetic: the “smoke and cinders, / ash and sweat” of the coal engine and the Great Plains stretching out “empty as an ocean.” Blasting through these artful compositions are the bellows of the conductor (“FULL STEAM AHEAD”) and the scream of the train whistle, so loud that it bleeds off the page: “WHOOOOOOO!” Font styles swap restlessly to best embody each noise (see the blunt, bold “SPIT” versus the ornate, ballooning “HUFF HUFF HUFF”). Just as heart pounding are Floca’s bold, detailed watercolors, which swap massive close-ups of barreling locomotives with sweeping bird’s-eye views that show how even these metal giants were dwarfed by nature. It’s impossible to turn a page without learning something, but it’s these multiple wow moments that will knock readers from their chairs. 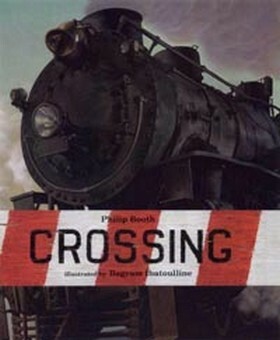 Fantastic opening and closing notes make this the book for young train enthusiasts. Grades K-3. REVIEWER: Daniel Kraus (Booklist). ISBN(s) : 9781416994152, 1416994157, 9781442485228, 1442485221. A genuine meme came into the language from this beloved story, now reaching its fourth generation of children. 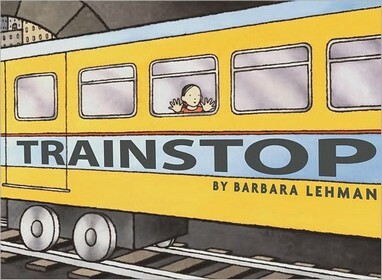 It’s still an enchanting tale of a little train filled with toys, books, fruit, milk and treats for “all those good little boys and girls on the other side of the mountain.” Long has enriched this new edition with bountiful illustrations that take their palette and inspiration from the original, but are greatly enhanced by imagination and inventiveness, to say nothing of glorious printing. The colors are warmer, richer and fuller, without the dry clear crispness of the first edition. The oversized format allows Long to fill the pages and the imagination with magic like two double-page spreads of toys and treats floating in the air and brilliant perspectives that set the scenes. 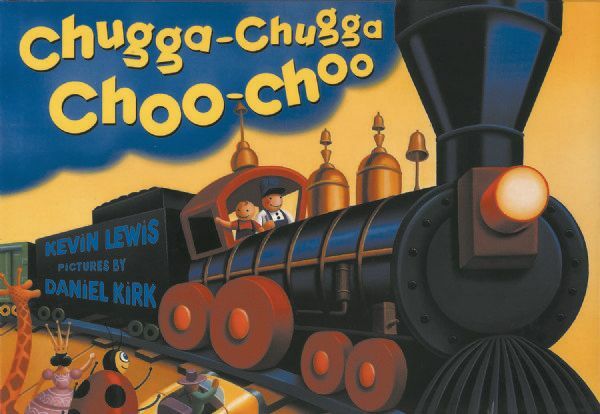 The trains are curvier, their faces more organic. There is real movement in the rounded lines of the roads and rails as well as the struggle to reach the top. Not a replacement, surely, but a companion, this will travel proudly next to the one that first thought it could. 2005, Philomel, 48p, $17.99. Category: Picture book. Ages 3 to 7. Starred Review. REVIEWER: Kirkus. ISBN(s): 0399244670, 9780399244674. A young man tells a story of his childhood and how his belief in Santa comes to life one snowy Christmas Eve. Although his friends tell him “there is no Santa,” he still believes he will hear the bells of Santa’s sleigh. Those beliefs come true when the Polar Express takes him to the North Pole. When they come to the North Pole, Santa chooses the protagonist to be the recipient of the first gift of Christmas. The boy wants something small and meaningful: a bell from Santa’s sleigh. The bell symbolizes the belief in Santa and the spirit of Christmas, and only those who believe can hear the magical sound of the bell. 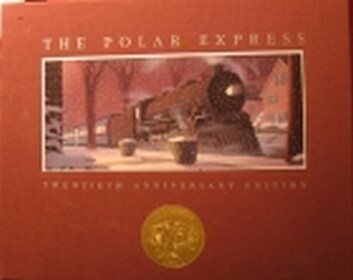 The thrilling story along with detailed and colorful illustrations can make anyone believe in the spirit of Christmas. This twentieth anniversary edition includes illustrations that are filled with amazing contrasts of light and dark, making the pictures feel alive. 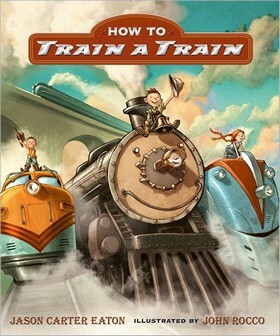 The detailed words and artwork on every page, make readers feel as if they also are living the dreams of the little boy. 2005 (orig. 1985), Houghton Mifflin, $35.00. Ages 5 to 10. 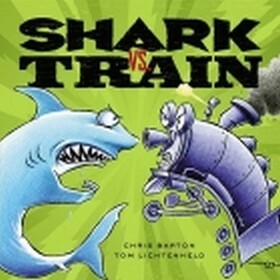 REVIEWER: Liz Martin (Children’s Literature). ISBN(s): 061861169X, 9780618611690. In 1900, an African American Mississippi boy dreams of leaving, of being somewhere else, as he picks cotton with his family. Evoking this feeling is the lonesome and exciting passage of Casey Jones, Sim Webb, and their locomotive that frequently passes by the farm. 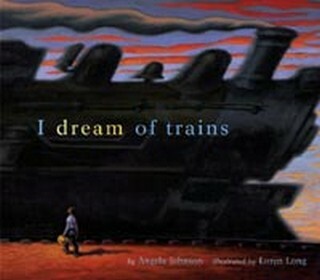 While he works, the boy imagines driving the train and blowing the whistle. 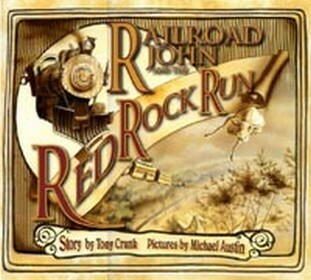 One April day, he learns of Casey’s death, and he and his father walk to the place where the wrecked train came to rest and Casey was found still holding the brake. Papa explains to the grieving boy that there will be other trains, and other places the boy will see. 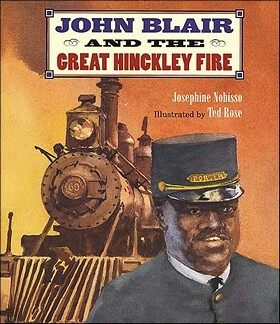 The boy continues dreaming and as the last picture reveals, he will head out to find “my place in the big wide world.” While the publisher suggests this book for five-to-seven-year-olds, it will take some adult patience and maturity to help children understand all that Johnson has aimed for. This is especially true for those who developmentally can’t imagine ever leaving their families to adventure. An author’s note explains how Casey’s black assistant, Webb, was undoubtedly an inspiration to African Americans who were looking to leave the South for better jobs during the ensuing Great Migration. 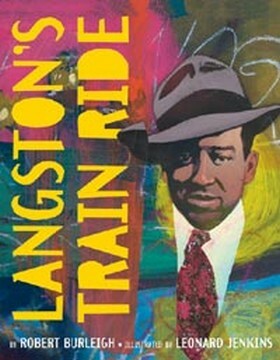 Long’s richly tinted acrylic illustrations lushly depict the scenery in summer and winter, show the rushing train from a variety of perspectives, and dramatically place the people and action on the page. The inviting deep color has the texture of pastels lavishly used. Without the author’s note, the story is enigmatic rather than expository, but with it, the book evokes a coming change and the boy’s anticipation. In the final illustration, two smoky question marks curl from the smokestacks of the departing train as the now-adult boy leaves, as if to ask: what will happen next? What does the future hold? 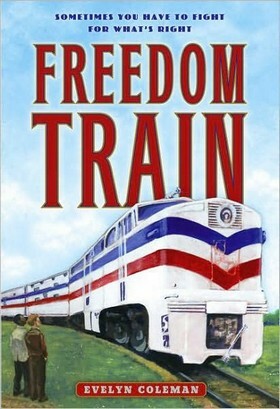 2003, Simon & Schuster, $16.95. Ages 8 to 11. 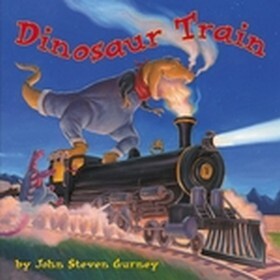 REVIEWER: Susan Hepler, Ph.D. (Children’s Literature). ISBN(s): 0689826095, 9780689826092. 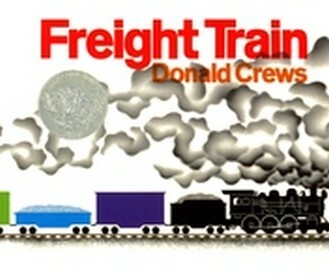 I know you have another Donald Crews book but my grandson loves, Shortcut.